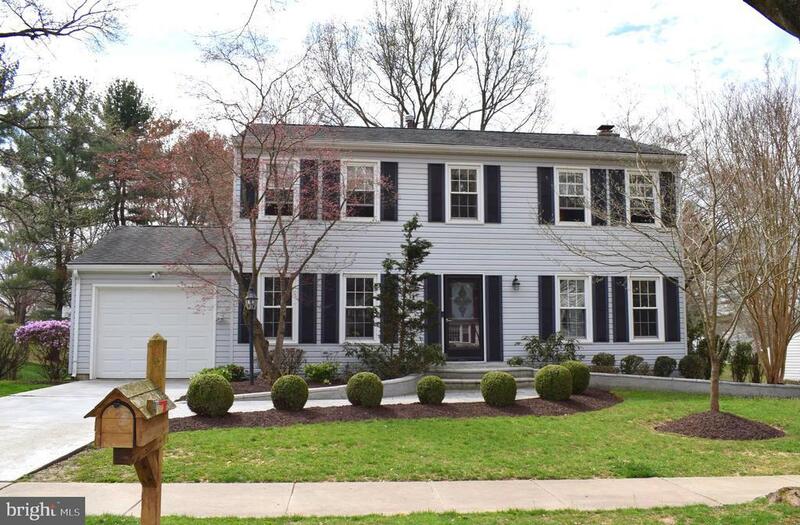 Welcome to this beautifully renovated four bedroom colonial home, located on a bucolic lot on a quiet cul-de-sac in the highly desirable Wootton School District. This home has been lovingly redesigned and renovated. The extensive stonework of the front walkway ushers you to the entry area, through a custom wood door, into this stunningly renovated home. Hardwood floors, custom lighting and warm colors- the entertaining spaces of the main level draw you in. The family room features a beautiful tile fireplace with gorgeous built-ins and an entrance to the exquisite screened porch overlooking the verdant property. The kitchen opens to the family room and features rich granite counters and backsplash, wood cabinetry, stainless steel appliances (including gas cooktop, wall oven, refrigerator and dishwasher), wood floors and an eating area. The living room and dining room are perfect for entertaining.The main level is complete with updated powder room and entrance to the one car garage Upstairs are 4 spacious bedrooms and two baths. -The owners suite features a renovated tiled bath, new carpet and a walk-in closet. All three additional bedrooms have ample closet space and new carpets. The hall bath has been updated. The lower level consists of a recreation room, laundry area and large storage room. Amenities include: newer HVAC, newer windows, extensive hardscaping and landscaping , one-car garage, updated baths, hardwood floors, recessed lighting, stunning porch, gas fireplace, granite counters, wood cabinetry, stainless steel appliances, spectacular lot, Wootton schools.